A group of SAIC makers and hackers builds a space to tinker with technology. SAIC alumni Josh Billions (BFA 2012), David Hull (MFA 2012), and Harvey Moon (BFA 2012) are the founders of MB Labs, a Chicago-based small business that works collaboratively to design and manufacture innovative software and hardware. As a component of their business plan they bring together makers and hackers all over Chicago to share their knowledge and experiences in a real-life open-source meet-up. 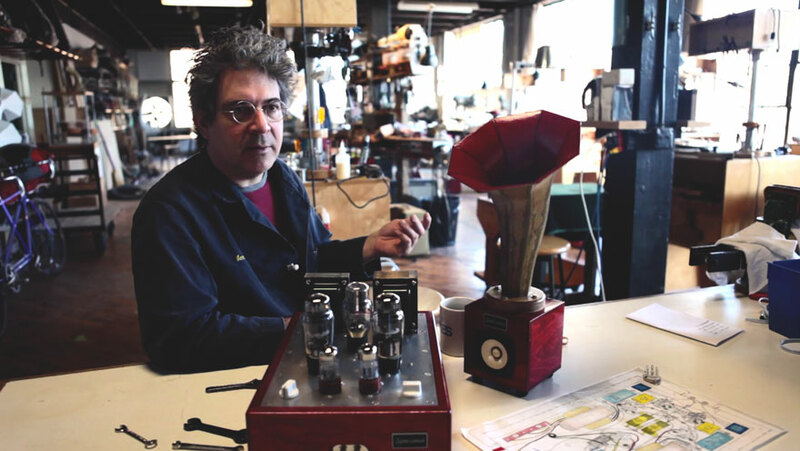 For the past three decades, Ian Schneller (MFA 1986) has been carving out a career in sound.